But can Bitcoin even be considered a currency? Then in 2014 the purchasing power of 1 Bitcoin went from about $1000 to its current value of about $200. I guess this could be considered hyper-inflation. This volatility in purchasing power seems to exclude Bitcoin as a currency. Finally Bitcoin follows fundamental rules and not only obeys to speculation. This gives more credibility. 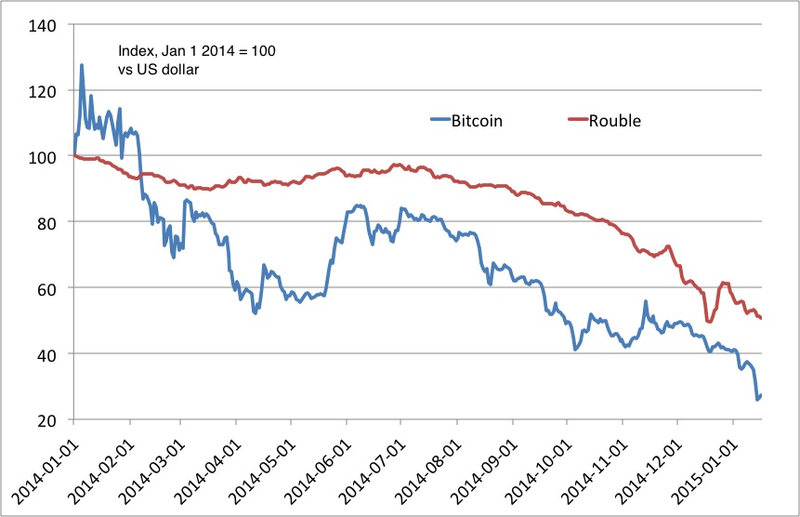 Same as gold and rouble it falls when USD gets stronger!